• Faculty: Nelson Algren, Philip Roth, John Cheever, Robert Penn Warren, T.C. Boyle, Raymond Carver, Frank Conroy, Kurt Vonnegut, Richard Yates, John Irving, Barry Hannah and Marilynne Robinson. • Alumni: Flannery O’Connor, Wallace Stegner, Denis Johnson, Michael Cunningham, Ann Patchett, ZZ Packer, Jane Smiley, John Edgar Wideman, Steve Erickson, Andre Dubus, Sandra Cisneros, Tracy Kidder, Kent Haruf, James Hynes and A.M. Homes. Furthermore, I happen to personally know several graduates of the program: Doug Unger, author and chairman of the English Department at UNLV; Richard Wiley, author and associate director of UNLV’s Black Mountain Institute; Vu Tran, a creative writing professor at the University of Chicago; Josh Kryah, a poet and English professor at UNLV; and Amber Withycombe, outgoing assistant director of the Black Mountain Institute at UNLV who soon will be starting a new job at George Mason University. Another alumnus of interest is Glenn Schaeffer, who did not become a writer but instead got into the casino business, where he did very well and is responsible, among other things, for the Mandalay Bay resort in Las Vegas. So, Iowa City is a place closely identified with writers and writing. 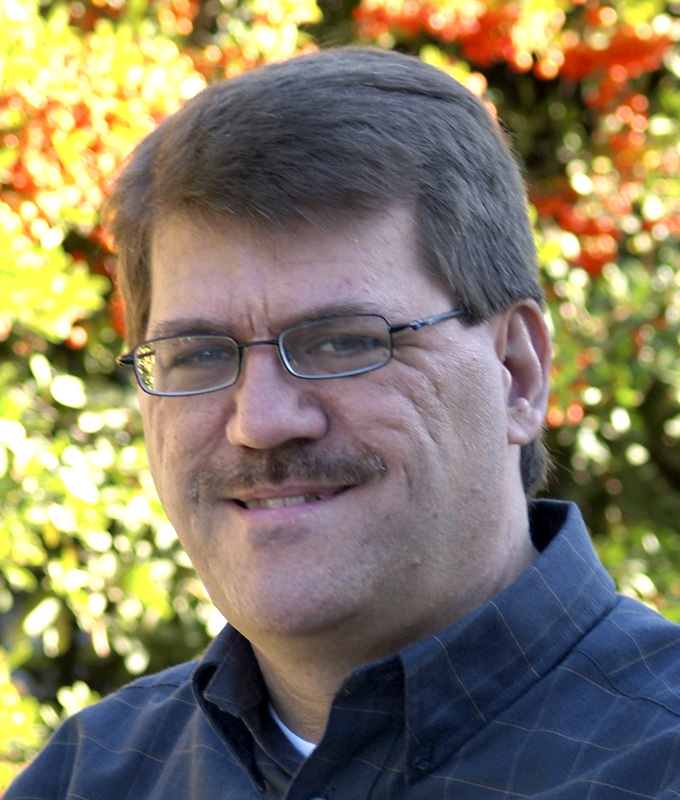 My interest was further fueled last year when I read a great memoir by Tom Grimes called Mentor. Grimes, a Workshop graduate, writes movingly about the late Frank Conroy, who is probably the Workshop’s most famous director. 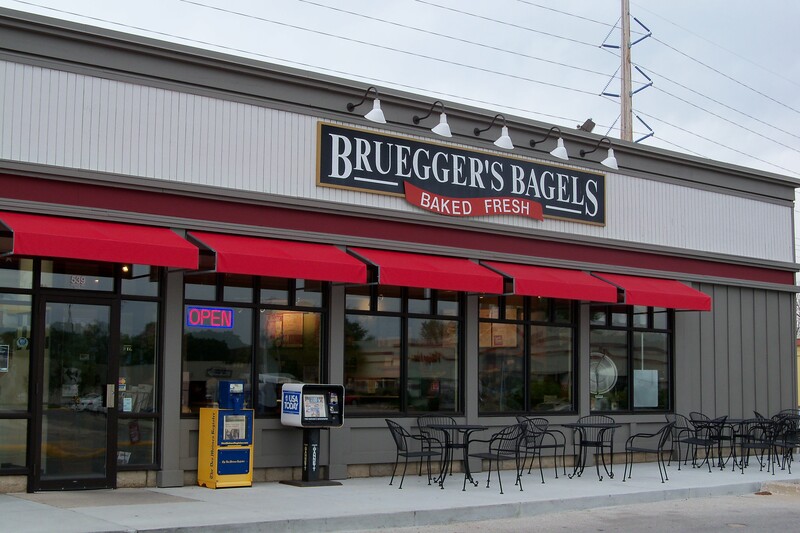 Bruegger's Bagels on Lincoln Way in Ames. 1. I started the trip, as I do many endeavors, with a visit to the bagel shop. I don’t like Bruegger’s quite as well as Einstein’s, which dominates Las Vegas, but it’ll do. Kum & Go store on Dayton Avenue in Ames. 2. Next stop was the convenience store to stock up for the trip. What is noteworthy about Kum & Go (besides the jarring name) is that the soda-dispensing machines offer either cubed or crushed ice. It’s nice to have the option. 3. It rained much of the way down to Iowa City. Not a heavy rain, thankfully. On a recent trip to Des Moines, I ran into a heavy rainstorm that suddenly turned to hail. I, along with most (not all) other drivers stopped on the side of the road because we couldn’t see five feet in front of us. Not fun, but mercifully brief. 4. I stopped in Marshalltown, which is about an hour east of Ames. It’s population is about 27,000, but it feels bigger. It has an old downtown that I want to explore further. 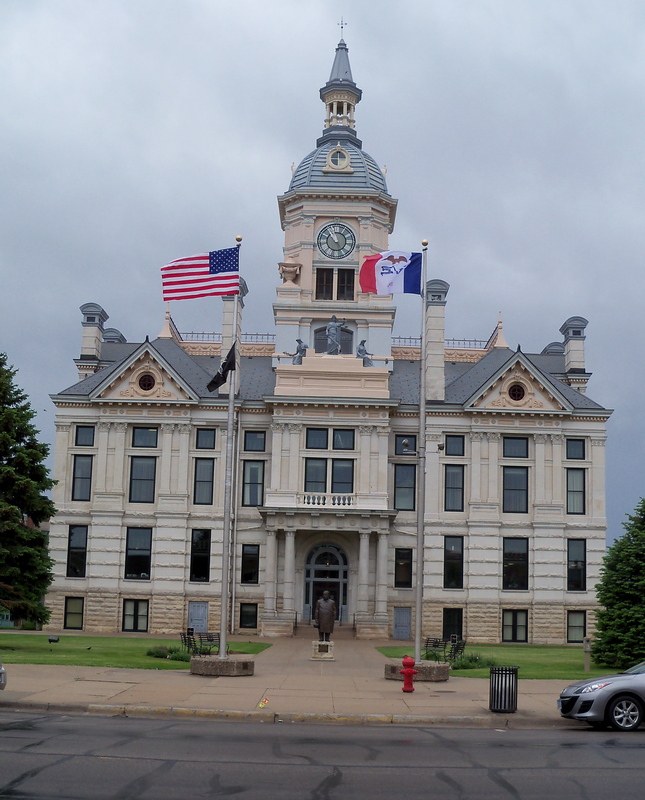 The county courthouse (1886) is just amazingly interesting. Marshalltown has quite a few other historic buildings to check out down the road. 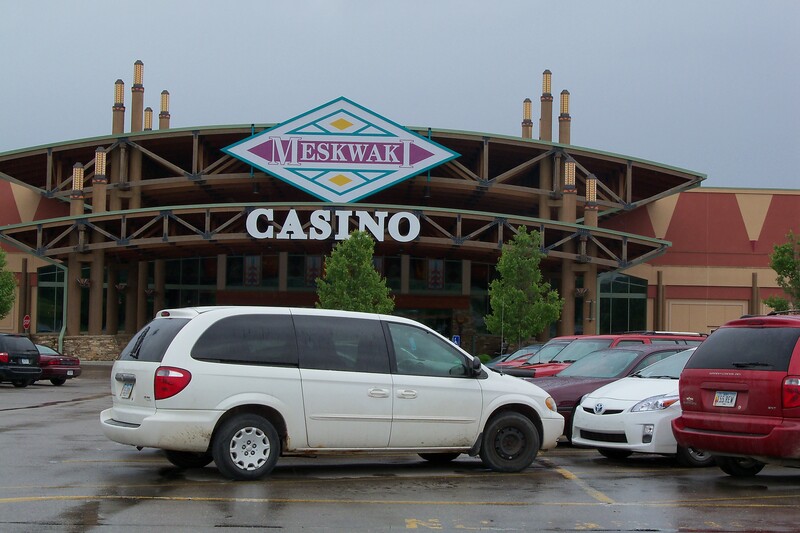 Indian casino near Toledo, Iowa. 5. I didn’t go in, but I had to take a picture of the Meskwak hotel-casino, east of Marshalltown near Toledo. Iowa actually has quite a few casinos. 6. 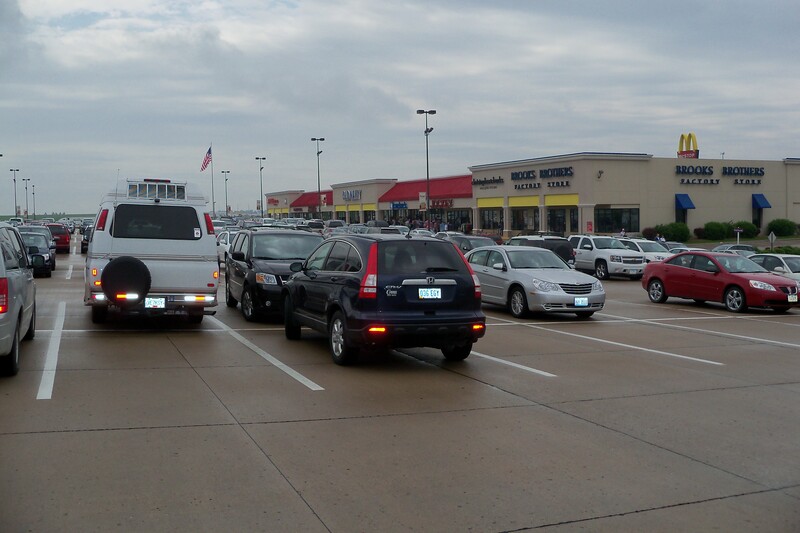 I had a little business to conduct at the Tanger Outlet Center, which is a big, busy outlet mall on Interstate 80 at Williamsburg, Iowa. 7. I am saving the Amana Colonies for another day. They are arguably one of the most interesting attractions in all of Iowa, worthy of a full day trip. 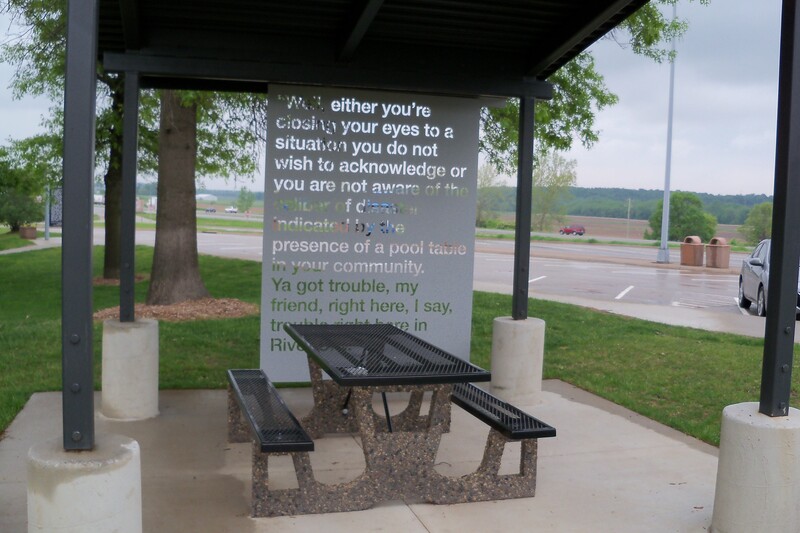 Each covered picnic table has a quotation from a writer associated with Iowa City. Public art at the rest stop near Iowa City. 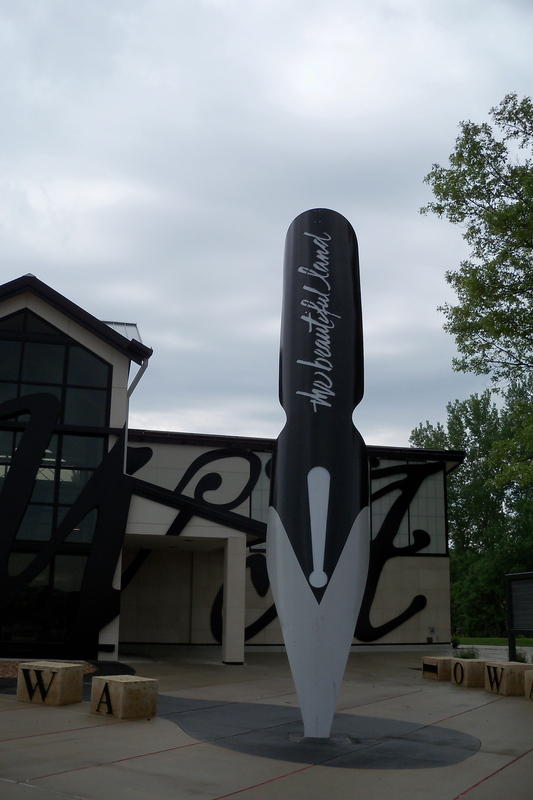 It’s about the coolest thing I can imagine: a rest stop dedicated to writing and writers. Of course, the large majority of visitors to the rest stop just want to stretch their legs and use the restroom, but still. 9. 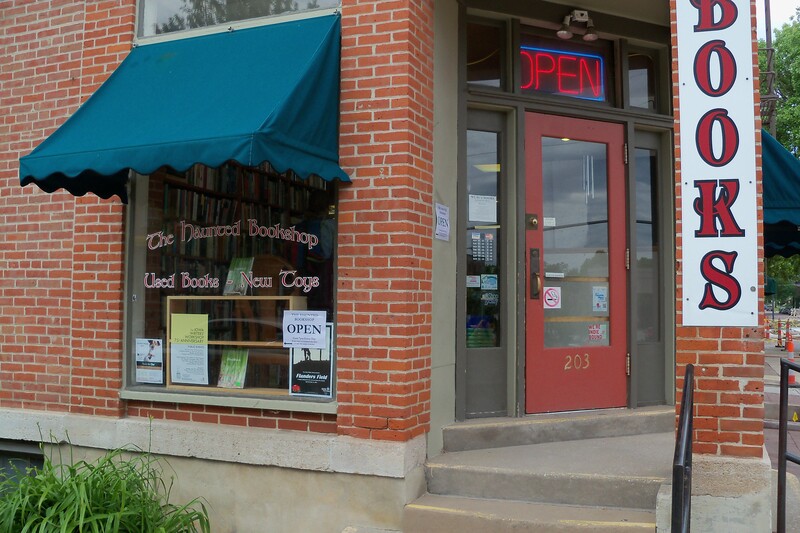 Prairie Lights Bookstore is one of the nation’s great independent new bookstores. Many book tours have Prairie Lights on the schedule, though nobody was signing on Saturday. A fine store. 10. 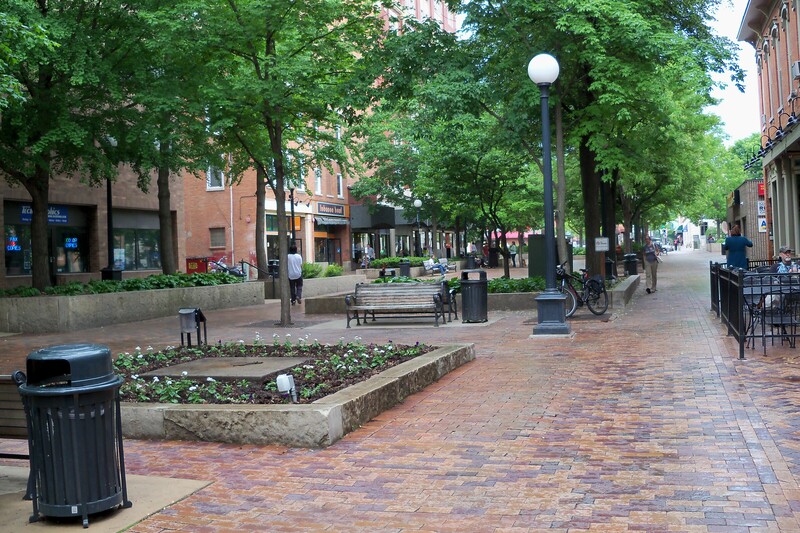 The downtown area of Iowa City is incredibly cool and beautiful. Classic pedestrian-friendly urban environment. 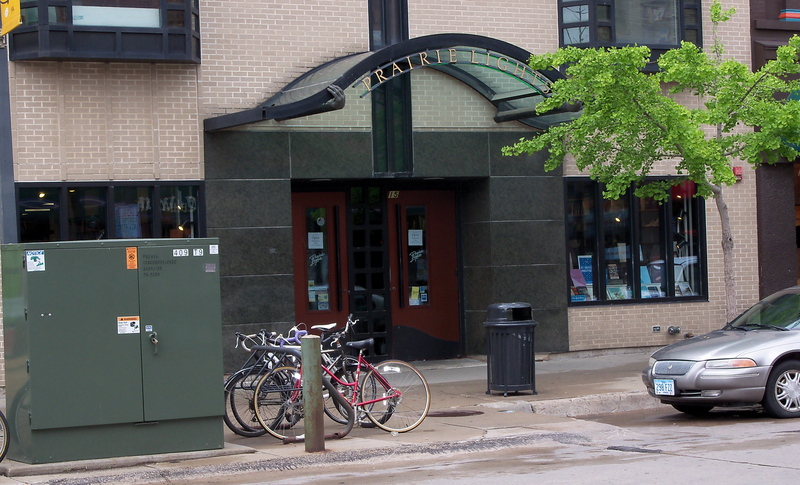 Prairie Lights Books in downtown Iowa City. 11. The Haunted Bookshop is an excellent used bookstore just a couple of blocks from Prairie Lights. It’s a very good used store, with sophisticated and well-organized stock. The Haunted Bookshop in Iowa City. 12. I was even more impressed by Murphy-Brookfield Books, which, again, is just a few blocks from Prairie Lights and Haunted. This converted two-story house has to be a place frequented by writers and faculty of the Workshop, as it has the largest collection of literary criticism I have ever seen in one place. I didn’t stroll around the campus, unfortunately. Seems odd, I know, but by the time I had hit the three bookstores, it was getting late and I knew I wanted to get back before it got too late. Next time. 13. I had a late lunch at Bennigan’s at the Coral Ridge Mall. Decent burger. 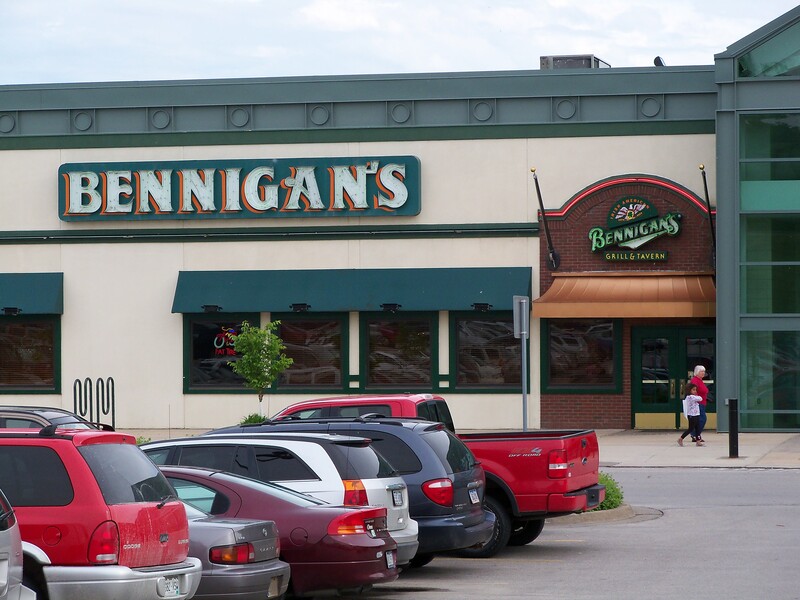 Bennigan's bar and grill at Coral Ridge Mall outside Iowa City. On the way home, I made a pit stop in Newton, which is where they recently held a NASCAR race. I could hear cars racing around the track, which was at least half a mile from the convenience store where I stopped. Ironically, I don’t have any pictures of the scenery along the way between Ames and Iowa City. That, of course, is because I was driving. But what is so striking to me — someone who has lived in North America’s driest desert for more than 30 years — is how incredibly fertile this place is this time of year. It’s ALL about growing things right now, and it makes for beautiful landscapes. The cornfields are turning green, the trees are leafy green, the rivers are flowing with purpose. The cows and sheep in the fields look like they are enjoying the spring weather. There’s a lot to be said for a fertile land — for plants, animals and writers alike. Iowa City Looks a lot like Boulder, Colorado, but with the Flatirons or Rockies. Very pretty! Glad you got to soak up the literary vibe.